readergirlz: Win a Set of Six Mary Hogan novels! Win a Set of Six Mary Hogan novels! The paperback edition of Mary Hogan's PRETTY FACE is out this month. It's the story of Hayley, a girl who's always the friend--never the girlfriend. Until a summer in Italy changes her self-perception. She's curvy, not fat. Pizza isn't evil. And life is so much more than one-size-fits-all. To celebrate the release, we're hosting a giveaway that includes all of Mary's YA titles (that's SIX total!). Quite a set, no?! To enter, just be a follower of this blog, and leave a comment below telling us what the last book you LOVED was. We'll pick one random commenter as a winner on Pretty Face's release date, March 24th. Update: Katie is the winner! Yay, Katie! I am a follower and the last book I loved was Breathing by Cheryl Renee Herbsman. Thanks for the contest! I just followed the blog. And the last book I loved was Change Of Heart by Jody Picoult, even though when I finished half I was pretty sure I would never read it again. Pretty Face has been on my list and I can't wait to see if I won! Hmm, last book I loved was Jellicoe Road by Melina Marchetta, that book is amazing. We need more books with stories like this one. The stick thin heroine is unappealing to me! The last great book I read was The Gargoyle by Andrew Davidson. It was a beautiful story (maybe not for the younger readers though). I'm a follower. The last book I loved was The Forest of Hands and Teeth by Carrie Ryan. Wow this looks great! The last book I loved reading was If I Stay by Gayle Forman. I think it's gonna get a lot of awards, or at least recognition. I'm following you. The last book I loved was Sophomore Switch by Abby McDonald. The last book I read that I loved was The Forest of Hands and Teeth by Carrie Ryan! I am already a follower and the last book that I absolutely loved is Nick and Norah's Infinite Playlist. That book has been stuck inside my head ever since I read it and the books that I'm reading now just can't seem to top that book! The last book I loved was Pedro & Me, the graphic novel by Judd Winick. I'm reading Donna Jo Napoli's THE SMILE just now and really really really enjoying it, but since I haven't finished, it's too soon to say I love it. So the last book I loved--loved? Shannon Hale's THE GOOSE GIRL. I wasn't expecting to like it a whole lot, let alone love it. Ick, it's been a long time since I've LOVED a book. I think the last was THE SEASON by Sarah Maclean. So good! I just finished reading North of Beautiful and loved it! And I am totally not sucking up either. I finished it on Wednesday and thought it was wonderful. I am already a follower through Blogger. I am a follower. I think....that the last book that I loved was Paper Towns. It was fun to read and the plot wasn't as easy to figure out as Looking For Alaska. I'm already a follower. The last book that I LOVED was Fade by Lisa McMann! It was SOOO good. The last book I loved..ehm..(where so many of them haha) ..ini mini mani mo...The Crossing by Taylor Joseph! great contest and would love to enter! and yes! 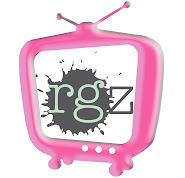 I follow readergirlz! I'm a follower. The last book I loved was Twilight!! I am now a follower and would love to enter! Also, the last book that I read and loved was an ARC of Willow by Julia Hoban. It was fantastic. The last book I loved was Jellicoe Road by Melina Marchetta. Absolutely magical. The last book I read and loved was "I am the Messenger", by Markus Zusak. I have yet to read the Susanna series, but I've read the others, each of which is a stand-alone title. I really liked Perfect Girl and especially recommend it to high school freshmen. I recently finished Love You Hate You Miss You by Elizabeth Scott and loved it, loved it, loved it! I was lucky to get an early copy. Look for it in bookstores June. The last book I loved was Fade by Lisa McMann. I was a huge fan of Wake and couldn't believe that a sequel could be just as good, if not better, than the original. Definitely looking forward to the third book in the series! The last book I loved? Probably The Forest of Hands and Teeth by Carrie Ryan. Last book I've read and loved is Zombie Queen of Newbury High by Amanda Ashby! I followed you through blogroll! I'm a follower and I'd love to read Mary Hogan's books. Im a follower and the last book I read and loved was Need by Carrie Jones. I couldnt put it down. I read so much that it is hard to pick. But I just finished a novel called Wish You Were Here by Catherine Clark! It was so cute and the main character, Ariel was fun and lively!! But I definitely want to read Pretty Face!! It looks so cute and fun!! I am a follower, and the last book I read and really loved was Frostbite by Richelle Mead. Can't wait for the next book in the series! Great contest, by the way! The last book that I LOVED was North of Beautiful. It has been awhile since I've been so into a book that I just didn't sleep until it was done. Please include me in your giveaway. I am a follower. Last book I love was Riding Lessons by Sara Gruen. I am a follower. The last book I loved was Cutting for Stone. Following, and the last book I loved was People of the Book, by Geraldine Brooks. Thanks for the contest! I'm a follower, and the last book I loved was James Patterson's Sundays at Tiffany's. I also really enjoyed It's A Green Thing by Melody Carlson. Thanks for the giveaway! Looks like a beaut! I am a follower. The last book I read and LOVED was Imperium by Robert Harris. the last book i read and loved was gaiman's "the graveyard book", it is perfect. The last book I loved was Graceling by Kristin Cashore, and I am (of course) following. Hey! I'm a new follower and would love to be entered to win this package! The last book that I loved was "Thirteen Reasons Why" by Jay Asher. HIGHLY recommended!! The last book that I LOOOOOVED was Flygirl by Sherri L. Smith! Please enter me and thanks for the giveaway! The last book I LOVED was The Guernsey Literary and Potato Peel Pie Society. How exciting! Thank you, Mary! The last book I loved was...oh, too many. One that stands out is Justina's book, NORTH OF BEAUTIFUL. I am a follower and the last book I couldn't put down was......awhile ago....thinking...Family Bones by Kimberly Riser. Sorry I was trying to think of one in this genre. I follow! The Forest of Hands and Teeth by Carrie Ryan was incredible! I'm a follower! The last book I loved was Sundays at Tiffany's by James Patterson. I just finished the Thirteenth Tale and loved it. Great give away! I've read several books, but I guess my favorite was the Twilight series, especially the last one. I'm a follower. The last book I loved was Dewey the Library Cat. If I win this I will give them to my teenage SD. I follow & I loved The Shack! Love to have this. I just finished The Heretic Queen by Michelle Moran. It was great. The last book I loved was Sundays at Tiffany's by James Patterson. Wow, great contest! The last book I loved was The Guernsey Literary... and I also really liked Thirteen Reasons Why. Very different books. Thanks for the contest. The date is on my son's 16th birthday so maybe that will be my lucky day! I know it will be his. Follower. I just finished a book called "Passive Aggressive Notes". It was funny. I'm reading the latest Darwin Awards book right now. The last book I read that I thought was awesome was Charollete Bronte's Jane Eyre. I loved that story even though it's older. It's a perfect book that keeps you on your toes and it's so inventive and romantic in a weird kind of way. I think everyone should read it once in thier life time becasue after thatyour whole world will turn upside down and books will be more then books. The last book I loved was definitely Impulse by Ellen Hopkins. Mmm, so good! And I am SOOO excited to read those Mary Hogan books! The last book I absolutely loved was Charles de Lint "The Onion Girl". To Kill a Mockingbird. The book may sound really dull since it's a classic. However, this book teaches so many life lessons. This is exciting!! Thank you for this chance to win. I would so love to win this contest!!! The last book I absolutely LOVED was the Hunger Games by Suzanne Collins. I think everyone should read it. The characters and plot are phenomenal, and it's the kind of book you'll be thinking about for days after you finish it. Hm, the last book I LOVED was The Disreputable History of Frankie Laudau-Banks. It was such a good book, I read it in just 2 sittings! Last book I LOVED was 20 Boy Summer by Sarah Ockler. My last great read was Change Me into Zeus's Daughter. It was amazing and touching. This blog is on my Google reader list. The last book I loved was Secrets of my Hollywood Life by Jen Calonita. The last book I loved was BOOK OF A THOUSAND DAYS by Shannon Hale. I know it's pretty old but good books are hard to come by these days. I recently read Epic by Conor Kostick and loved it! The last book I loved Pretty Little Devils by Nancy Holder. I wonder if there is any money left in writing books. I used to love writing westerns, but no one buys them anymore. They just go to free book quest and steal them. Its awful. The last book I loved was The Forest of Hands and Teeth. Thank you, Mary E. Pearson! March: Do You Give Too Much of Yourself? March: Poll: What percent of you is you? Mitali Perkins on secrets of the writing life! BIGGEST Teen Author Signing EVER! March: How do you define yourself? March: Do you want to live for 200 years? Trial Chat Run for CoverItLive! March: What superhuman ability do you want? Make Something - and a Giveaway! Hear Girls Write Now on Sunday! March: Has medicine saved your life? March: What are you self-conscious about? I know what you are! March: How far would you go to save someone?